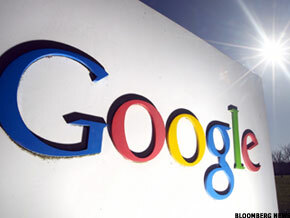 Longtop, O2Micro International and Google are technology stocks with nearly 150% upside. NEW YORK (TheStreet) -- Apple (AAPL - Get Report), O2Micro International (OIIM - Get Report), Google (GOOG - Get Report), Longtop Financial Technologies (LFT, Hewlett-Packard Company (HPQ - Get Report), RDA Microelectronics (RDA, Cisco Systems (CSCO - Get Report), ChinaCache International (CCIH, Xerox (XRX - Get Report), Micron Technologies (MU - Get Report) have upside potential of 22% to 150%, based on analysts' consensus estimates of 12-month price targets. The Federal Reserve's decision to keep interest rates low rallied the U.S. stock markets. On Wednesday, the technology-heavy Nasdaq Composite Index touched its highest point since 2000, finally closed 22.3 points higher at 2869.9 points at close. A weak dollar could boost technology stocks after the dollar fell for the seventh consecutive day Wednesday, slipping around 0.9% to $1.478 against the euro. In comparison, other stocks such as Intel ( INTC, Yahoo! ( YHOO, Oracle ( ORCL, International Business Machines ( IBM, Cognizant Technology Solutions ( CTSH, and Dell ( DELL are expected to yield below 16%. The stocks are stacked by upside, great to greatest. 10. Micron Technologies ( MU - Get Report) is a provider of advanced semiconductor solutions. For the second quarter of 2011, Micron's revenue stood at $2.3 billion compared to $2 billion for the second quarter of fiscal 2010. Gross margin was 19% in the second quarter of fiscal 2011, down from 23% in the first quarter of 2011, attributable to lower average selling prices. Net income stood at $72 million, compared to $365 million in the second quarter. Capital expenditure for the second quarter of fiscal 2011 was $840 million. During the quarter, the company completed the acquisition of the remaining stake in TECH through two cash transactions worth $159 million. The company's cash and short-term investments were $2.2 billion and cash flows from operations for the quarter stood at $809 million. The stock trades at 10 times its estimated 2012 earnings and is expected to deliver 25% return over the next one year. 9. Xerox ( XRX - Get Report) provides a portfolio of services in document technology and software, and a diverse range of business process and information technology outsourcing support. The company operates in three segments: technology, services, and others. During the first quarter of 2011, total revenue increased 16% compared to the first quarter of 2010. Contribution from the services segment grew faster during the quarter relative to other segments. The segment contributed around 47% of total sales in the last quarter, higher than its share of 39% in the same quarter of the prior year. Technology, another important segment, contributed about 46% of sales. Operating margin in the first quarter of 2011 stood at 9.1%, expanding 60 basis points from the same quarter last year. Net income stood at $281 million as opposed to a net loss of $42 million in the same quarter of 2010. The stock is trading at 9.3 times its estimated 2011 earnings and analysts expect an upside of 26% from the current levels. 8. Apple ( AAPL - Get Report) designs, manufactures and markets personal computers, mobile communication devices, portable digital music players and sells a variety of related software, services, peripherals and networking solutions. The company's products line includes Macintosh computers, the iPhone, iPad, iPod and Apple TV, among others. During the second quarter of 2011, the company's revenue increased to $24.7 billion from $13.5 billion in the year-ago quarter. Net profit was $6 billion as against $3.1 billion in the second quarter of 2010. However, gross margin for the quarter was 41.4%, compared to 41.7% for the same period last year. International sales accounted for three-fifths of the company's revenue during the quarter. iPhones saw the fastest growth during the quarter, the company sold 18.65 million devices, representing 113% growth compared to the same period last year. Another strong segment was Macs, growing at 28%, while iPods saw a 17% decline during this period. The management guides third quarter revenue at $23 billion and earnings per share at $5.03. The stock is trading at 14.3 times its expected 2011 earnings and is likely to return 30% over the next one year. 7. Hewlett-Packard Company ( HPQ - Get Report) is one of the largest technology companies and a provider of products ranging printing, personal computing, software and information technology infrastructure. The company's revenue for the first quarter of 2011 stood at $32.3 billion, up 4% compared to the corresponding quarter last year. Demand for commercial hardware was robust, while the commercial PC and printer segments performed strongly. Global revenue in the first quarter accounted for 65% of total revenue, with revenue from BRIC countries, which account for 11% of HP's revenue, surged 11% during the quarter. Earnings per share for the first quarter were $1.17, up 26% from $0.93 in the prior year's quarter. Gross margin for the first quarter was 24.4%, up 150 basis points compared to the same period last year. Regarding the financials, Cathie Lesjak, H-P's CFO, said in a press statement, "H-P's financial strength and discipline helped generate $3.1 billion in cash flow from operations, up 28% year over year," said. The stock is trading at 7.8 times its estimated 2011 earnings. 6. ChinaCache International ( CCIH Holdings is a China-based Internet content and application delivery services provider. Net revenue for the fourth quarter in 2010 was $18.8 million, up 74% from the corresponding period in 2009. Net income for the same quarter was $0.9 million, compared to a net loss reported in 2009 fourth quarter. Operating profit for 2010 fourth quarter was $1 million, compared to an operating loss in the corresponding period in 2009. Going ahead, ChinaCache expects to generate net revenue of $19.3 million to $20.2 million for the first quarter of 2011, representing a 69% to 75% year-over-year increase from the corresponding period of 2010. Analysts expect the stock to deliver 30% return in the next one year with buy ratings of 60%. 5. Google ( GOOG - Get Report) focuses on areas like internet search, advertising, operating systems and platforms. During the first quarter of 2011, Google reported revenue of $8.6 billion, representing a 27% increase from the first quarter 2010 revenue of $6.8 billion. International revenue was $4.6 billion, or 53% of total revenue in the first quarter of 2011. Net income during the first quarter of 2011 was $2.3 billion, compared to $1.96 billion in the first quarter of 2010. Earnings per share for the reporting quarter were $7.04 compared to $6.06 in the first quarter of 2010. Cash and cash equivalents stood at $36.7 billion, as of Mar. 31, 2011. Google's full-time employee strength was 26,316. Of the 41 analysts tracking the stock, 34 rated a buy and 7 maintained a hold. The stock is trading at 15.7 times its estimated 2011 earnings with an estimated upside of 34%, according to analysts poll conducted by Bloomberg. 4. RDA Microelectronics ( RDA is a fabless semiconductor company that designs, develops and markets radio frequency and mixed-signal semiconductors. Revenue for the fourth quarter of 2010 was $57.5 million, increasing 74.4% from $33 million in the fourth quarter of 2009. Revenue for full year 2010 was $191.2 million, up 61.5% from $118.4 million for 2009. Gross margin for the fourth quarter of 2010 was 32.4%, compared to 20.1% for the fourth quarter of 2009. Adjusted net income was $10.2 million for 2010 fourth quarter as against $1.3 million for the same quarter in the prior year. In a press statement, the management said, "Looking ahead, we will continue to leverage our RF and mixed-signal design expertise to expand our highly integrated and innovative product offerings and provide more competitive solutions to our customers. We are encouraged that Chinese handset manufacturers continue to do well in emerging markets, which will be favorable for RDA going forward." The stock is trading at 12.9 times its estimated 2011 earnings with an expected upside of 33% over the next one year. 3. Cisco Systems ( CSCO - Get Report) designs, manufactures and sells Internet protocol-based networking and other products related to the communications and information technology industry, besides providing services associated with these products. During the fourth quarter of 2010, Cisco reported sales at $10.8 million, up 27% or $8.5 billion from the same period last year. Net income rose 79% to $1.9 billion from $1.1 billion in the same quarter of the prior year. Net sales for full year 2010 rose to $40 billion, up 11% from 2009. Net income stood at $7.8 billion, improving from $6.1 billion in 2009. Cash flows from operations was $3.2 billion for the fourth quarter of fiscal 2010 and cash and investments were worth $39.9 billion at the end of fiscal 2010. The stock is trading at 11 times its estimated 2011 earnings and is expected to return 32% in the next one year. 2. O2Micro International ( OIIM - Get Report) develops and markets power management and e-commerce components for the computer, consumer, industrial and communications markets. Revenue for the fourth quarter of 2010 stood at $30.2 million, down 6.8% from the year-ago period. Gross margin was 60.2% in the quarter, narrowing 47 basis points from the year-ago quarter. Revenue for fiscal 2010 rose to $137.8 million from $124.3 million in 2009, growing 10.9% year-over-year. Gross margin was 61.4% in 2010, up 173 basis points compared to 2009. Reviewing the business performance, Sterling Du, the company's CEO, remarked, "The year began on a high note and slowed down as the inventory correction ran its course. As we enter 2011, the supply chain looks much healthier and our products are well positioned to address both core markets and new areas alike." The stock is trading at 13.6 times its estimated 2011 earnings and analysts expect it to return 38% in the next one year. 1. Longtop Financial Technologies ( LFT is a leading software development and solutions provider targeting the financial services industry in China. During the third quarter of fiscal year ending Mar. 31 2011, total revenue was reported at $76.9 million, increasing 41% from the same period last year. Contribution from software development, accounting for more than 90% of total revenue, grew faster at 56% during the quarter. Revenue from other services declined 46% to $4.4 million from the same period last year. Operating income in the third quarter increased 37%, while net income surged 22%. Earnings per share for the same quarter came in at $0.61, beating the company's guidance of $0.56. The company has increased its full year 2011 revenue guidance to $249 million from $242.5 million and operating income to $113 million from $110 million. The stock is trading at 12.3 times its estimated 2011 earnings and analysts expect it to deliver 97% in the next one year. >>To see these stocks in action, visit the 10 Tech Stocks With Big Upside portfolio on Stockpickr.